FORT BRAGG, North Carolina (WTVD) -- Authorities at Fort Bragg have launched a death investigation after an 82nd Airborne Paratrooper was found dead in Fayetteville Thursday morning. Pfc. 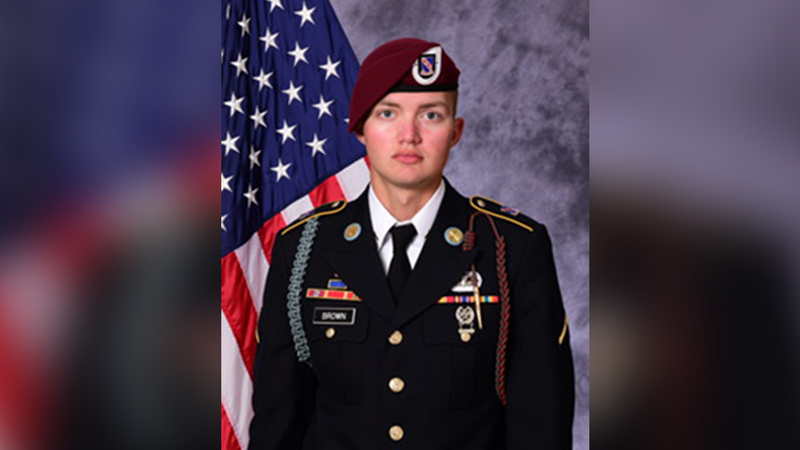 Connor T. Brown, 19, of Chesterton, Indiana, was an Infantry Paratrooper with the 1st Battalion, 508th Parachute Infantry Regiment, 3rd Brigade Combat Team, 82nd Airborne Division. "Connor Brown was among the young men and women who volunteered to serve his Nation in a time of war and for that we are forever grateful," said commander of the 1st Battalion, 508th PIR, Lt. Col. Robert McChrystal. "We now turn our attention to his family in their time of need." Brown joined the Army in June 2016 and completed Basic Combat Training, Advanced Individual Training and Airborne School before being assigned to Fort Bragg.